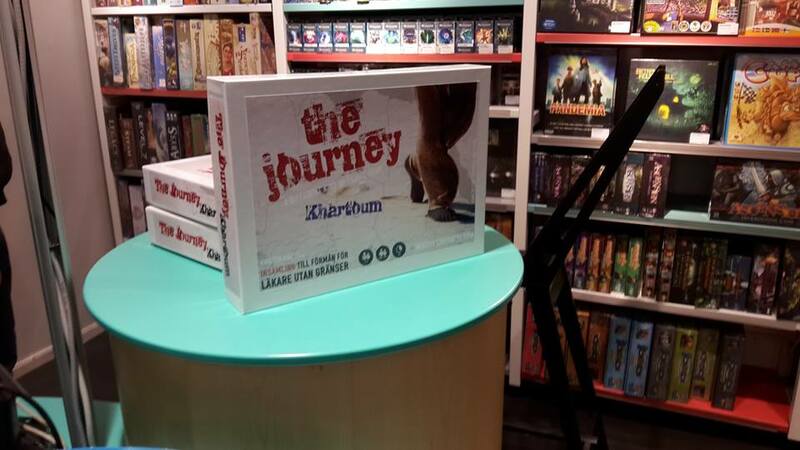 Our first board game The Journey: Khartoum is now available at the Playoteket store on Djäknegatan in Malmö! Finding yourself in Khartoum as an undocumented traveler you need to navigate a world of smugglers, police and unscrupulous employers. Piece together the fragments of information you get to plan your own Journey! Visit the store to get your copy, all profit goes to refugee help organisation Medecins Sans Frontiers. You can also order a copy by sending us an email to info@migrantjourneys.com. The Journey: Khartoum is the first in our series of games on migration. 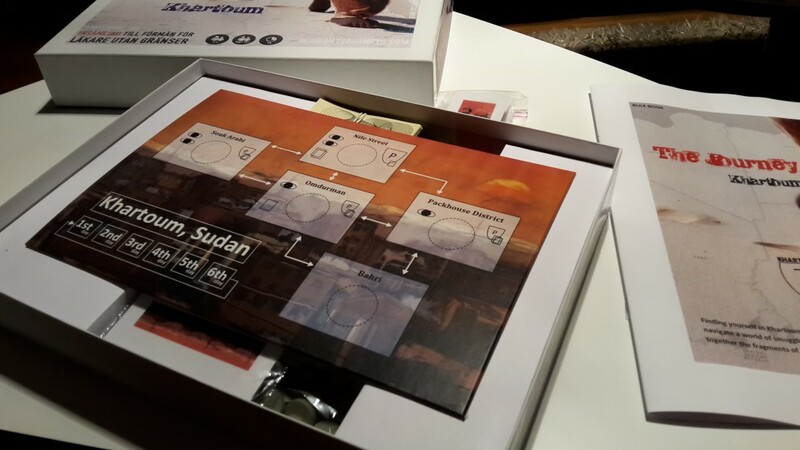 It is a board game where you play as an Eritrean migrant. The game is made by MigrantJourneys. The beautiful illustration making up the game board is made by illustrator Emma Elisabeth. The elegant box cover is made by graphic designer and photographer Mark Goldsworthy. Would you like to receive info when our next game is ready? 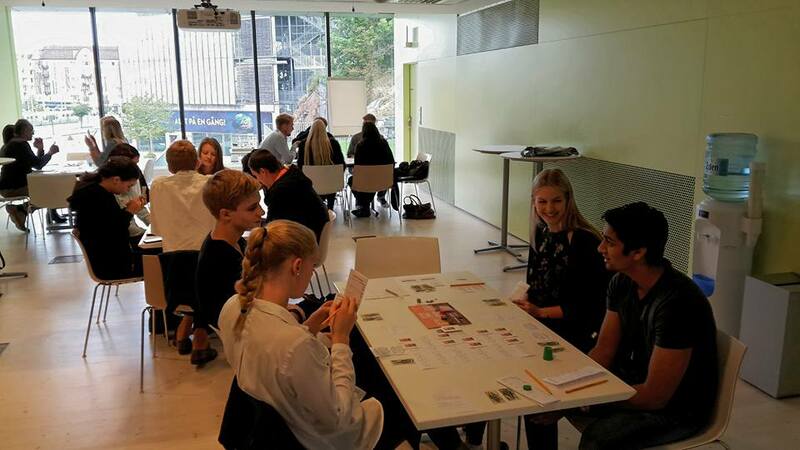 If you would like to get your hands on a copy of the board game, you can visit Playoteket in Malmö or order a copy by sending a mail to info@MigrantJourneys.com. The prize is 349 SEK and the profit goes to MSF. Q: Where can I buy another copy of the game?